You know that sending thank you notes over e-mail isn’t really acceptable, but have no idea how much time you actually have to write and send them? Not sure when to send our save the dates? HAVE NO FEAR! Postable is here to save the day! Sort of. We’ve compiled a comprehensive list of snail mail and when to send it. If you have something to add, we’d love to hear from you in the comment section! When to mail wedding save the dates? Make sure to give your guests plenty of time to make arrangements. Save the dates are a super fun way to introduce your wedding theme and feel while at the same time prepping those that are invited for the special day. If you’re planning a destination wedding or have many out of town guests, it’s a good idea to give them even more time to make sure they’re able to make the proper traveling arrangements without any last minute issues. 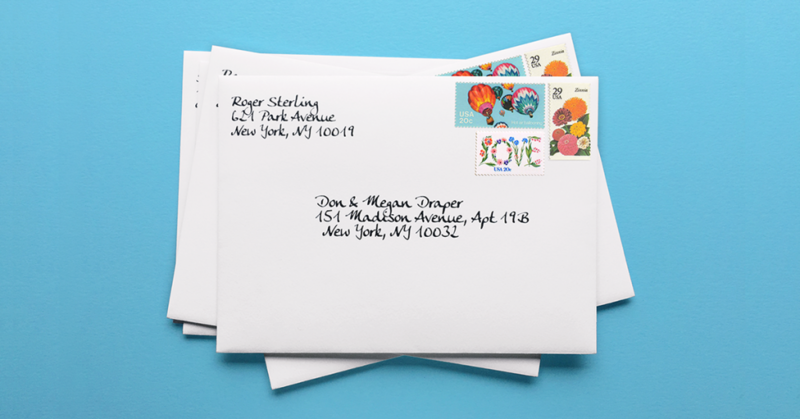 When to mail wedding invitations? Your beautiful save the dates already prepped your guests for what’s to come. 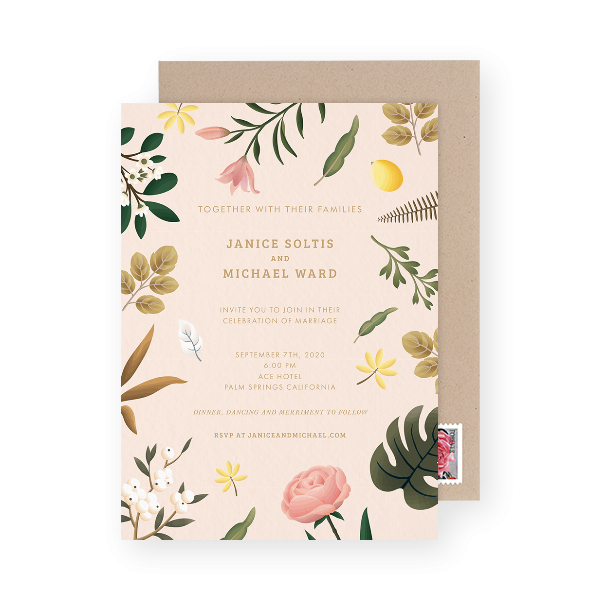 Your wedding invitation is your chance to provide your guests with the most important information that they’ll need, so be sure to give them some time to make additional preparation if needed. Including the date, time, and location is a must, but leave the nitty-gritty details for the website. Give your guests an online meeting point where they can do things like RSVP, find lodging information (for out of town guests or destination weddings), and any other relevant information you’d want to include like specific dress code. When to mail bridal shower invitations? The bridal shower can take place any where from 6 months to a week prior to wedding, but be sure to send out the invitations about 6-8 weeks prior to the shower. If you’re planning the bridal shower, but aren’t exactly close with everyone on the guest list you can easily gather the mailing addresses with Postable’s Address Book. When to mail wedding thank you cards? You’re back from the honeymoon and the task of writing your wedding thank you cards hits you like a ton of bricks. Sound familiar? Just take a quick breathe (and maybe pour yourself a nice glass of wine). It’s probably better to have them done on time, seeing as how many of your guests went out of their way to celebrate your special day with you. Better late than never, isn’t that the saying? Although it’s better to send a thank you at some point rather than never, you don’t want your guests to receive their thank you notes on your 1 year anniversary. Not to worry! You should already have everyone’s addresses (with your Postable Wedding Address Book of course) so that part is already taken care of. Keeping track of who gifted what is also a good idea, but hopefully you’ve already got that covered. Looking at a huge list of over 100 people to thank can be overwhelming, so break it down. Make it a goal to knock out 5 or so cards a day; this goal is a lot more attainable. If you’re writing your wedding thank you cards with Postable, you’ll be able to save the 5 cards in your project and come back whenever you’re ready. And since we address, stuff, stamp, and mail the cards for you – all you have to worry about is writing a personal message and customizing one of our beautiful card designs. When to mail birth announcements? As soon as possible after the arrival of the baby, but there’s no formal cut-off time. You just had a baby. Your family and friends will definitely understand if you don’t send out your birth announcements right away. When to mail kid’s birthday invitations? Make sure to give parents enough time to make transportation and carpool arrangements as well as getting the gift. You also want to keep in mind that life with children can get a bit hectic so sending out birthday invitations more than a month in advance may cause the party to get forgotten in all the mix of things. When to mail kid’s birthday thank you cards? Better late, than never. Need help getting the kiddies to make the cards happen? Check out our helpful Guide to Getting Your Kids to Write Their Thank Yous. When to mail Bar & Bat Mitzvah Invitations? 2-4 months before the event. Make sure to give your guests plenty of time to prep, especially those coming from out of town. When to mail graduation announcements (not invitations)? Up to one month after the actual graduation. If you include graduation invitations with your graduation announcements, be sure to send these out about 1 month from the event for friends and family nearby. If you’re not sending the invitations, you have a bit more leeway on timing… just make sure not to send your grad announcements when you’re in your 1st semester of college. When to mail graduation thank you cards? Within a few weeks of the ceremony. Writing a bunch of thank you cards can be a bit overwhelming, but have no fear! Breaking the huge list of cards down to about 5 per day makes the task a lot more attainable. 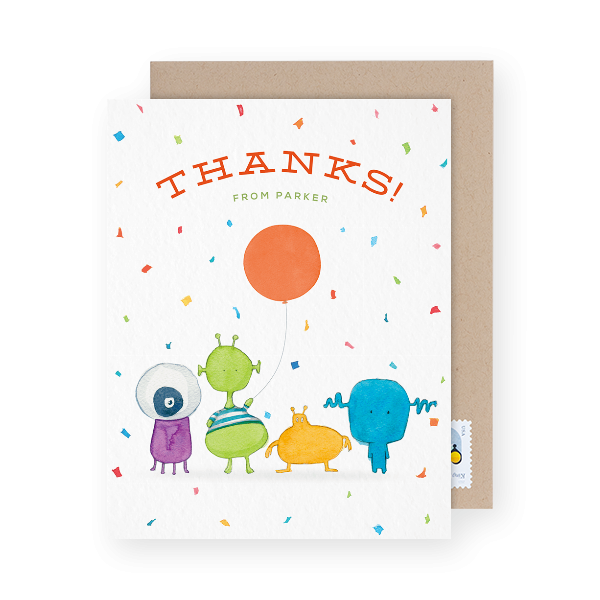 If you’re writing your graduation thank you cards on Postable, you can save each card as you go and come back later. Remember, we’ll even mail them for you. It’s best to show your appreciation to friends and family in a timely manner, but as they say: better late than never. When to mail moving announcements? As soon as you move OR shortly beforehand. 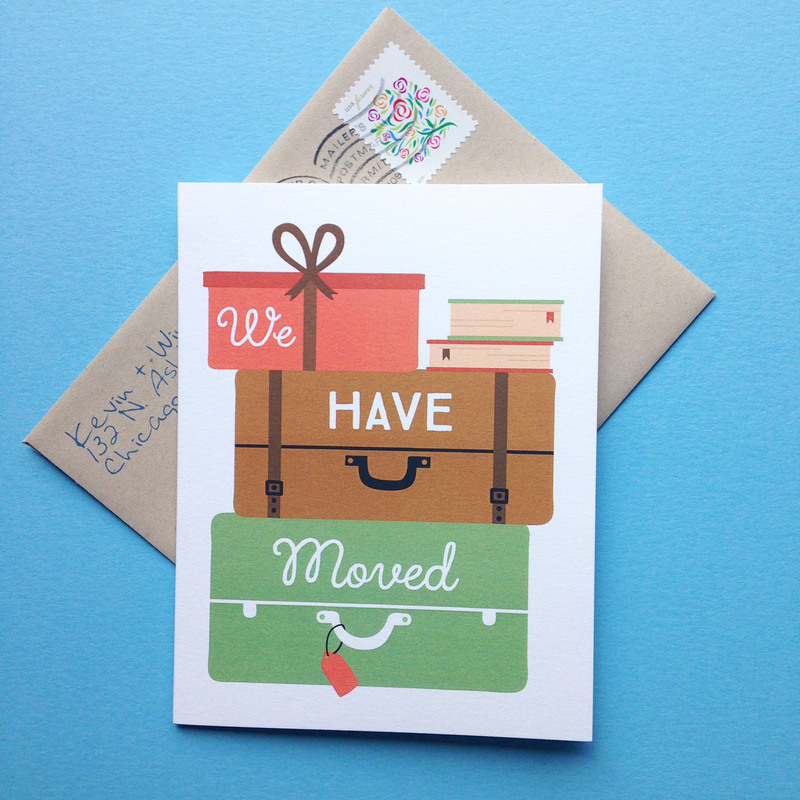 Many folks choose to send their moving announcements as soon as they move, but there’s nothing wrong with sending them right before either. If you do send them before you move, just be sure to include the move-in date so that your friends and family know when the change of address takes place. When to mail holiday cards? The earlier, the better… but not before 1 week prior to Thanksgiving. You don’t want your family receiving your Thanksgiving card and Christmas card at the same time (awkward). Sending Holiday cards the old fashioned way usually takes a great deal of time and effort so if you’re choosing to stuff all of your envelopes yourself, we’d suggest getting a very early start. If you send your cards with Postable, you can cut down the process to a handful of minutes (yes, we’re serious). * Keep in mind snail mail isn’t quite as quick as the internet… Take delivery time into consideration. * Have fun with your snail mail! Customize your cards with photos! * Remember, Postable will pretty much do all the leg work for you… we’ll gather the mailing addresses, address, stamp, and stuff the envelopes, and mail the cards for you. Interested in checking out the designer Postable cards or the address book – just click on the links or go to Postable.com/cards.